Looks like all of these codes have expired! I’m trying to win the $25 Visa Card because there are 2,000 winners. But I’ve also heard some of you have won the Gap $25 gift card (950 winners). The other gift cards are harder to win simply because there are less prizes, only 250 Subway $10 gift cards and 150 Applebee’s $25 gift cards. In case you missed it, you can easily add several points to your Huggies Rewards account. It’s easy by watching videos, taking polls, and participating in activities. What can you do with those points? Play instant win games and sweepstakes. So far I’ve heard from readers who have instantly won the free music download (4,700 winners total) and the $25 Visa card (2,000 winners total). I’m hearing from lots of other gift card winners too. If you win – please tell us about it! You can also still print a coupon to Save $3.00 on Huggies Pure & Natural diapers at Coupons.com. And there is still a Huggies Pure & Natural diaper sample to request. Have you checked out my great big list of Baby, Toddler & Kid Freebies yet? these codes have all expired. Thanks! Congratulations You're a winner in our Huggies® Enjoy the Ride Rewards Instant Win game.Subject to verification and compliance with the Official Contest Rules , you will be awarded one:$25 Applebee’s Neighborhood Grill & Bar® Gift CardPlease allow 8-10 weeks for verification and shipment. Which isn't bad… compared to waiting 9 months for a child to be born! i just won a $25 visa card! its def an off hour, it’s 3:00 am! Dang, you guys are having a lot better luck than me…I’ve played 10 times now and haven’t won a thing! I was online around 1am the other day and I won both a $25 Gap Card AND a $25 VISA card! I won the VISA card on the 1st try…the GAP card on the 2nd try! Does anyone know if you can win twice?! Thanks for the codes! I’ve tried to win the gift card a few times, but maybe I’ll try later in the day when hopefully not as many people are there. Haha. I just put in those codes from TWINCERE and am up to 70 points! Thanks for sharing!!! I won I won I won! $25 prepaid visa card! Thanks for the codes! I won my 3rd gift card!Try playing on “off” hours- I have won all mine shortly after midnight. Thanks for keeping this updated. 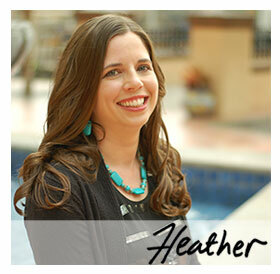 Thanks so much, Heather! I was able to get all 10 points!